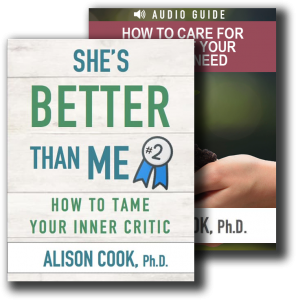 You can thrive in summer, even when your schedule is falling apart - Alison Cook, Ph.D. I always struggled to thrive in summer, even before I had a family. On one hand, I enjoy the happy chaos, but my soul tends to take a beating without the natural rhythms of a school year. In the absence of a set structure, I default to adapting my day-to-day routines around the needs of others. So by this time in the summer, I’m often struggling to hang on to any remnant of spiritual rhythms. . . chaos ensues internally. Give it up all together. Binge watch television during the few free moments you have. . . it’ll make all the chaos go away! You have so much to get done. Work frantically all the time and forget about trying to be present and connected to God and others. JUST GO! Neither extreme is particularly helpful. Succumbing to the part of me that wants to “check out,” as tempting as it may be, leaves me feeling lethargic and off-kilter. I lose clarity about the things God is calling me to focus on today, and the satisfaction that it brings to stay connected to him. Likewise, letting my “task manager” take the wheel leaves me exhausted and disconnected, too. I might be getting a lot of things done, but slowly my connection to God and others dwindles. Tasks start to feel hollow, instead of infused with love and gratitude. I see that part of you is wanting to check out. It’s hard on you to create space for connecting to yourself and God amidst the craze of summer. Take a deep breathe. I’m just one inhale away. I understand your desire to muscle through the day. You’re getting a lot done. I’m here, right near your zealous task manager. Can you pause with me for just a moment. . .I can help you soften. . . and bring you life. As you compassionately engage the parts of yourself that are struggling, you’ll begin to create spaciousness in your soul. Get curious about what’s going on inside. Give yourself a “time-in” by saying to your family, “I need just a few moments.” See if you can identify a couple of feelings—confusion, exhaustion, loneliness, frustration—and invite Jesus to be near each emotion. He may not take them away, but as you invite him into what you are feeling, you are creating more space for him to work within your soul. Don’t pray your feelings away. Instead, give voice to what you’re experiencing to him. For example, if you’re stuck in traffic, inhale deeply and ask God to be present with each one of your jumbled up thoughts and feelings. God, I’m weary, can you come into my weariness. . .I’m out of sorts, can you be with me there. . .I’m lonely. Can you come in a little closer? Notice how it feels to inhale some of his love into those parts of your soul that are struggling. In those few moments, you’ve connected to God and yourself more deeply. Return to your go-to Psalms. There’s nothing like the Psalms to help you reconnect to the neglected or frayed parts of your soul. Try praying any of Psalms 20 – 25. Let these words guide you toward clarity, when you can’t find words of prayer on your own. Prayer is one-part honesty, and one-part abandon (See Elisa Morgan’s new book, The Prayer Coin). It can happen in a simple inhale: God, I’m here. Barely hanging on. But here. Come be with me?